Spending is expected to reach $3.7 trillion in 2018, with investment in comms and software top of the shopping list. 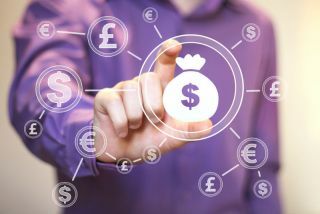 Global spending on IT is expected to grow 4.3 per cent next year, according to new estimates from market analysts Gartner. Gartner says spending is expected to hit $3.7 trillion next year, up from $3.5 trillion. The growth will be fuelled mostly by communications services, followed by software spending which will see an increase of 9.4 per cent next year, to a total of $387 billion. This year, it grew 8.5 per cent. Spending on IT services will grow four per cent this year, to $931 billion, and more next year – 5.3 per cent, up to $980 billion. What’s also interesting is that Gartner predicts growth in the devices segment, something we haven’t seen in the last two years. This segment will see a 5.3 per cent growth this year, and a five per cent growth next year. “Increased average selling prices for premium phones in mature markets, partially due to the introduction of the iPhone 8 and 10, along with an underlying demand for PCs from businesses replacing their machines with Windows 10 PCs is driving the growth in this segment,” the report states.